Most of us have regular car checkups and see a mechanic for an ongoing problem? You have been hearing that grinding noise for some time now and know you must schedule a visit. We just know that if we do not address the problem, it could turn out to be very costly. But have you ever considered seeing a specialist for your Medical practice? Many healthcare providers are suffering from chronic ailments. Not with them personally, but their medical practice. Whether it involves issues within the billing office, practice management, provider enrollment, there are specialists that can help! 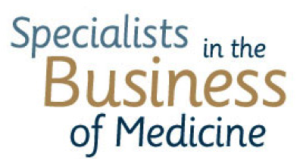 A specialist in the “Business of Medicine”. But how would you know if there is a problem? Just like with a patient you check the vital signs. There are many signs and symptoms that have been presenting for some time. But, how do you decide on which specialist to call? In conclusion, if you have not had the vital signs checked on your practice, you should consider looking at the obvious chronic symptoms and consider consulting with a Medical Business Specialist to assist you. In the current state of healthcare, ignoring the obvious symptoms could be a grave mistake in the ever changing industry.